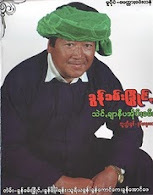 I am U Khun Min Kyaw, CEC member of Pa-O National Organization (PNO). I will make my presentation about the PNO’s participation in the by-election to be held on 1 April. Pa-O is one of more than 100 national races residing in the Republic of the Union of Myanmar. History says that Pa-O represents Kayin tribe of Tibet Myanmar descendants. At present, more than one million Pa-O nationals are living in Shan State, Kayah State, Mon State, Kayin State and Bago Region. Not only did Pa-O nationals take part in independence struggles but also Pa-O national leader U Phyu gave his signature in the world-famous Panglong Agreement. In 1948 Myanmar regained her independence from the British colonialists. The independent Union of Myanmar prescribed in its constitution that it would practise parliamentary democracy. Democracy comes from an ancient Greek word. Demo means people and Kratos means power. Democracy is the most valuable political concept in the modern world. The right of a grown-up citizen to elect rulers by casting a vote is the basis of democracy. According to democratic practices, every citizen with right qualifications has the right to vote and run for election. A free and fair election is the key to democracy. The more the taste of democracy a nation can enjoy, the more freedom the people living in that country will have. In the three parliamentary democracy elections – the first in 1952, the second in 1956 and the third in 1960 – the then Union Pa-O National Organization won seven parliamentary seats. Our Pa-O National Organization ran for the 2010 multiparty democracy general election with the objectives of ensuring non-disintegration of the Union, nondisintegration of national solidarity and flourishing of democracy. Our party won 10 seats – one seat in Amyotha Hluttaw, three seats in Pyithu Hluttaw and six seats in the State Hluttaw. In the forthcoming by-election to be held on 1 April, our party will compete at the Pyithu Hluttaw level representing Kalaw Township of Shan State with a view to ensuring non-disintegration of the Union, nondisintegration of national solidarity, democracy cause and eternal peace. From March 1989 to 6 April 1997 in the times of the State Law and Order Restoration Council and State Peace and Development Council (Tatmadaw) government, peace was achieved after reaching ceasefire agreement with 18 national ethnic armed groups with 67382 members and 53838 weapons. The root cause of civil wars is political instability. In order to achieve genuine internal peace, it is necessary to discuss and solve major political problems. Only when armed conflicts cease, will all the people enjoy peace. Peace can create human resources, promote education, give the people lots of rights. National development lies at the core of peace. Bamar, Shan, Danu, Pa-O, Intha, Taungyo and Palaung nationals in Kalaw Township have been living in amity and unity since ancient times with their cherished literature, traditions and customs. With those national people working in concert for regional development, Kalaw Township is progressing. This is why I would like to urge the people to vote for Kalaw Township Pyithu Hluttaw candidate U Khun Than Maung from our party so that we can achieve democracy and genuine eternal peace. May all the voters of Kalaw Township be healthy and happy and have their prayers answered.